La-La Land Crafts Inspiration and Tutorial Blog: Merry Christmas! Psst! Wanna know the secret to making a quick fancy fold card? :D It's simple! When you make one, make a few extra card bases for future use! LOL They come in handy and it will saves you a lot of time the next time you want to make one! 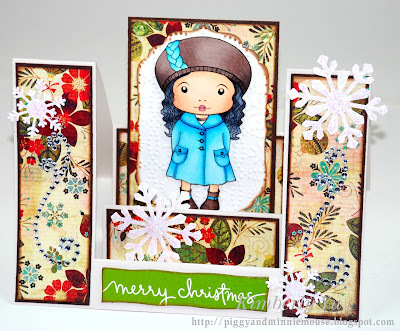 For my double side step card today, I used one of my ready-to-finish card bases. I paired Winter Marci with my recently bought jovial paper pad. Love these papers! I colored Marci with Copics, my favorite coloring medium! Got some La La Land Crafts image cards to share? Well, don't forget to add them to our CUSTOMER GALLERY! You might just be our next Customer Appreciation winner! Thank you so much for stopping by, everyone! Have a great weekend! I just LOVE your color combination!! VERY PRETTY!!! So lovely Kim! I love the idea of making extra step cards too! Beautiful Kim! 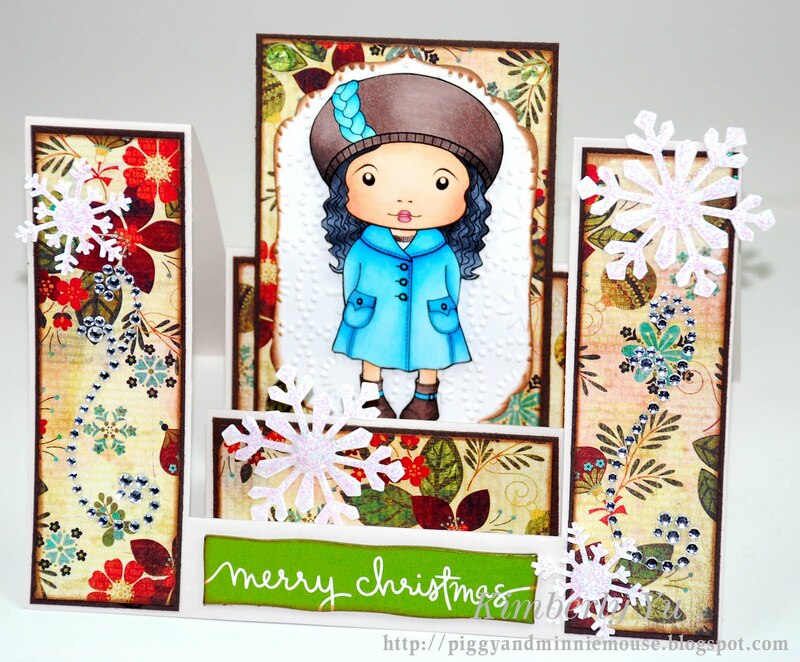 Love these step cards, and your embossing behind Marci is adorable!! Great card! LOVE all your details and coloring!